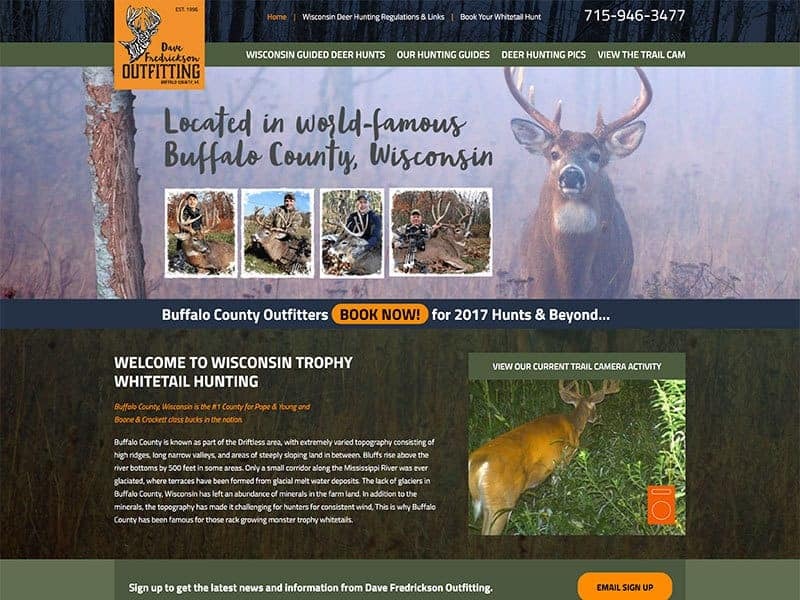 Dave Fredrickson Outfitting, LLC provides guided hunts in world-famous big buck country, Buffalo County. Hunters have access to hundreds of acres to pursue an opportunity at harvesting a Pope & Young whitetail. Offering only fair chase hunts, customers can use choose an archery or gun hunt. Owner’s, Dave and Teresa, enjoy guiding their clients to success. Our team worked diligently to establish a strong brand throughout the site and create calls-to-action where user’s may request hunts. A photo gallery is used to showcase the previous successful hunts. Contact forms allow visitors to request access to trail camera pictures. Our standard practice of security, mobile friendless and SEO strategy were integrated with the custom design. 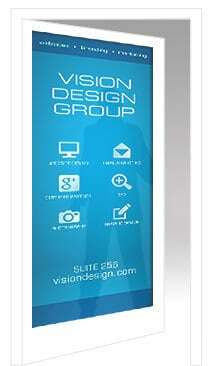 Let our team help your brand speak online! Contact us for more information.